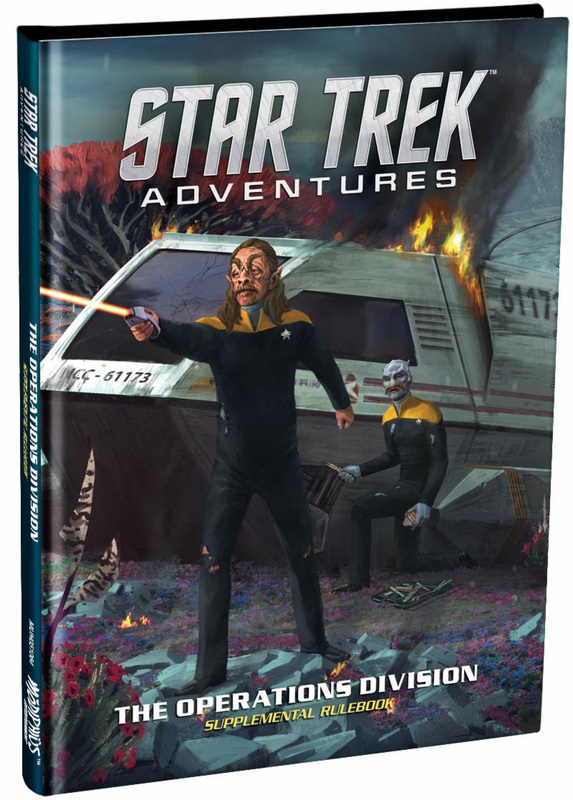 Prepare a landing party and set phasers to fun as Modiphius Entertainment unleash Star Trek Advenures: Operations Manual! Join Starfleet’s miracle workers and steadfast defenders with The Operations Division supplemental rulebook. Today we’re really proud to announce that the Star Trek Adventures Operations Supplement is now available to buy in both print and PDF. Pre-order customers’ books have already started shipping. In this 128 page hardback book, you can expect new choices for your security and engineering officers, as well as detailed background information on the Starfleet Corps of Engineers, Starfleet Intelligence, and even the elusive Section 31. The supplemental rulebook also expands the equipment available to Starfleet personnel, with new rules on their inclusion in the game. Gamemasters also have their choice of new resources for running operations-focused missions, and a new selection of named NPCs, as well as engineering and security archetypes, including Luther Sloan, Leah Brahms, and MACO soldiers. Miniatures fans will be in for a treat, with the Red Alert rules for miniatures combat using a streamlined version of the 2d20 system, developed by prolific wargame designer Mark Latham, and Sam Webb, line developer for Star Trek Adventures. Leading the writing team is Chris McCarver (Marvel Cinematic Universe Guidebook) alongside Andrew Peregrine (Dr. Who: Adventures in Time and Space, Firefly Roleplaying Game), Jack Geiger (Scarred Lands, A Song of Ice and Fire RPG), John Snead (Blue Rose, Eclipse Phase, Mindjammer), and Sam Webb (Star Trek Adventures). Those of you eager for more can expect The Sciences Division supplemental rulebook to follow in friendly local gaming stores in March next year, with the Alpha, Gamma and Delta Quadrant sourcebooks released throughout 2019.